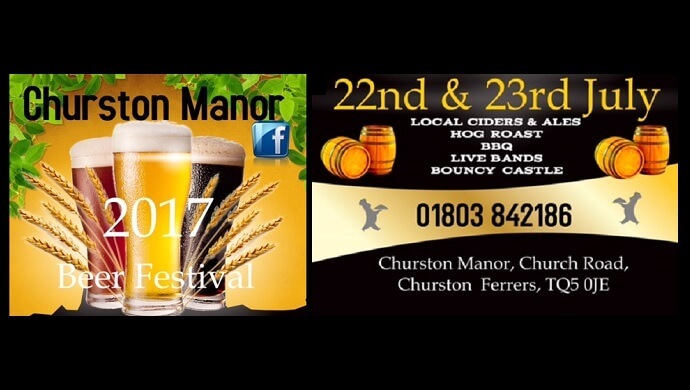 The historic Churston Manor hotel, restaurant and bar can be found on the outskirts of the pretty South Devon village of Churston Ferrers (between Brixham and Paignton). There's a lovely stretch of the South West Coast Path which passes nearby, making the Churston Manor an ideal watering hole for walkers in need of refreshment. There are 18 rooms and a restaurant, as well as the welcoming bar. Even if you don't make it to the Beer Festival, it's worth popping in during the cooler months as there's a fabulous open fire by which to rest a while. The well-priced menu features a range of meats, fish, pastas and risotto, with top-notch local ingredients.